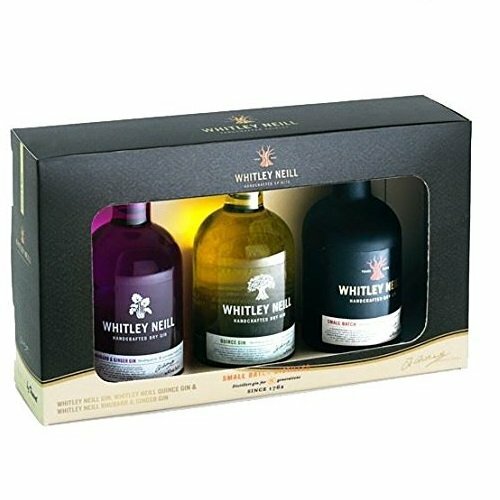 Tasting Notes – Whitley Neill Gin is a slightly softer and much smother than traditional gins, with rich notes of juniper and citrus, pot porri and exotic spices. The finish is a long one, with a subtle fade of herbs, cocoa and candied lemon peel, while the nose is both citrus-sweet and peppery, with a distinctive floral aroma. Tasting Notes – Whitley Neill Quince Gin. The aroma of fresh stone fruits appears immediately, gently followed by hints of juniper and citrus zest. The distinctive flavour of quince dominates the palate, giving way to the sweetness of apricots and peaches, with a long fruity finish that opens out into orange blossoms and zesty grapefruit. Whitley Neill is a handcrafted gin of exceptional quality inspired by the vivid beauty and mystery of Africa, and a never-ending drive for perfection. Distilled in small batches by Johnny Neill, a direct descendant of Thomas Greenall and the last in a long line of distillers, it brings together 8 generations of expertise since 1762 and a life-long love of adventure. While the original Whitley Neill Gin is inspired by the exotic flavours of Africa, the newly released Rhubarb and Ginger Gin variation takes inspiration from closer to the Whitley family’s homestead. Whitley Neill Rhubarb & Ginger Gin is inspired by the glory of a traditional English country garden. Alongside Whitley Neill’s signature botanical, the Baobab fruit, this gin is infused with the essence of rhubarb and extracts of real ginger. Tasting Notes – Rhubarb & Ginger. Inspired by the English country garden, the essence of rhubarb adds a tart crisp edge to the smooth English Gin base, whilst the ginger extract warms the pallet for a full-bodied complex finish.